Sometimes it starts with a mild tingling sensation. Or maybe your eyes just feeling drier than usual. It’s the beginning of a day when your contacts aren’t going to be comfortable. And, it’s disappointing, because for more than 30 million people in the U.S., contacts are the vision correction of choice without broadcasting that they, in fact, can’t see well naturally. Contacts can be great, until they aren’t. Even for people who have worn contacts successfully and happily for years can develop a collection of symptoms that eventually lead them to simply stop wearing them. 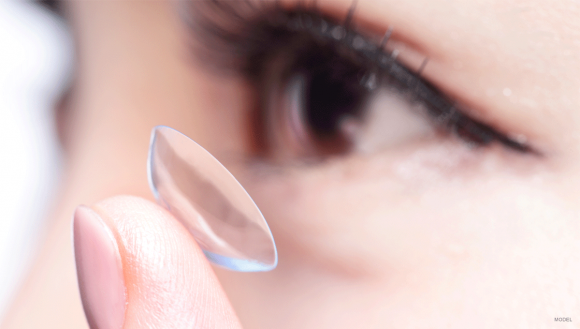 This is known as becoming contact lens intolerant and it can happen even to the most meticulous of contact lens wearers. These people experience a range of symptoms including mild burning, stinging or grittiness leading to more severe problems such as chronic dry eye conditions, infections, and even corneal abrasions and ulcers. What contact lens users often forget is that all types of contacts lenses by design prevent the cornea of the eye from absorbing oxygen, which it needs for optimal health. This is why a commitment to appropriate wear, care, and cleaning of contact lenses is mandatory, as well as seeing an eye doctor for any issues related to contact use. Any symptoms such as redness, pain, or swelling should be evaluated immediately to protect the health of eyes and vision. Between the complicated maintenance routine and the risk of sight-threatening complications related to using contacts, the results of a recent study showing lens wearers becoming increasingly dissatisfied over time aren’t that surprising. So, if you find yourself either unable to keep up with the proper care, maintenance and hygiene routine for contacts or frequently experience symptoms of discomfort or irritation, it might be time to consider your vision correction options, including LASIK. If you think you may be contact lens intolerant and have wondered about LASIK, you might be interested in another finding from the same study that showed a decline in satisfaction with vision from contact lenses: contact lens users who then chose to have LASIK reported much higher levels of satisfaction with their vision and their satisfaction increased over a 3-year period. If you are weighing your vision correction options because of your issues with wearing contact lenses, request a consultation with us and let’s discuss what is best for you and your vision.